Below you can view all the homes for sale in the Heritage Place subdivision located in Centennial Colorado. Listings in Heritage Place are updated daily from data we receive from the Denver multiple listing service. To learn more about any of these homes or to receive custom notifications when a new property is listed for sale in Heritage Place, give us a call at 720-924-7403. Once you step outside onto the large deck overlooking the delightful yard and the peaceful open space, you will never want to leave. 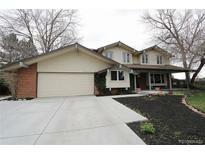 MLS#7280199. MB The Brian Petrelli Team. Finished basement with guest bedroom and classy three-quarter bath finish off the home, not to mention the sought after DTC location, Cherry Creek Schools, parks, restaurants, close to light rail, I-25. MLS#5024219. MB ANDERSEN REALTY LLC. The huge backyard has 30-year-old shade trees, fire pit, basketball court, play set, lush grass, privacy fence, sprinkler system, rock walls, and fruit trees MLS#4032823. Keller Williams DTC. Home has new carpet and tile throughout. MLS#2426447. Signature Real Estate Corp.. Finished basement with a conforming bedroom, bathroom and flex space. MLS#4861356. HomeSmart Cherry Creek. Minutes To Landmark And Easy I-25 Access. A Great Value! ! MLS#3224303. MB EXECUTIVE REALTY & INVESTMENTS.